Peter Aiken, Sean O'Halloran and Andrew Banyai bring to the table over fifty years of experience in trying criminal cases ranging from complex Federal crimes to State felonies and misdemeanors. Sean O'halloran, a lifetime resident of Ft. Myers is a second generation Ft. Myers attorney who previously practiced as a prosecutor in both Lee County and Charlotte County. He knows and understands the local practices and procedures appearing regularly before the Courts here in Lee County and Punta Gorda. Andrew Banyai is a dedicated tough professional who works dawn to dusk in your defense. The three attorneys at this criminal defense firm aggressively represent the falsely accused before, during and after charges are filed. Most people do not realize how very important it is to talk with an attorney before charges are filed. Often, good legal representation can make the difference in whether or not a person gets arrested or charged. Do not wait until you are arrested. Do not be fooled by Lawyer referral services. 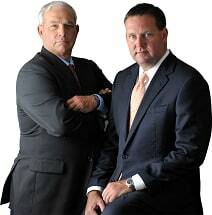 The lawyers at Aiken, O'Halloran and Foley actually handle your case from start to finish. Experience does make a difference and we encourage you to compare our qualifications with those of any other attorney in this community. There is no substitute for knowledge, experience and hard work when it comes to defending your rights. The right to an attorney is guaranteed by the Constitution. It does not guarantee you the right to an experienced dedicated lawyer. Think twice before placing your future in the hands of the Public Defender or some other bargain basement lawyer. Call today for a free consultation.